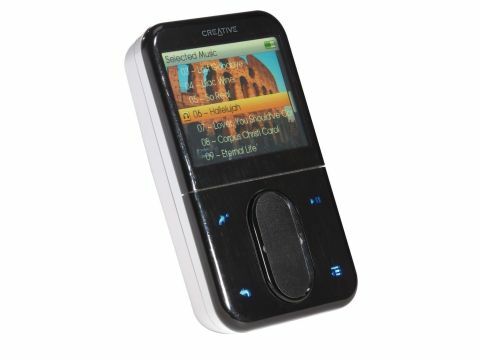 Creative started making audio players before they became personal. They were hulking, oversized Discman-style leviathans. Then came the iPod and while Creative laboured over largely unappealing Zen series players, Apple stormed ahead, trumping Creative in terms of desirability and simplicity. So we arrive at the Vision:M. It's the company's latest attempt to usurp the high ground taken by the iPod and, technically, it's a lot better than Apple's player. In terms of our look and feel, the Vision:M still lags behind the iPod. We like the chunky buttons and nice-looking front, but the interface isn't the smoothest and despite a chunky 1.9cm thickness, only 30GB of storage resides within the shell; we'd like to see this upped to at least 60GB, if not 80GB for this size of player. The battery life doesn't quite achieve the claimed 14 hours, but it does a lot better than the iPod. It's available in a range of colours, too. The Vision:M is superb in terms of video. Creative has pedigree in this area, of course, and most formats that it won't play natively can be converted on the fly. It won't play the H.264 video favoured by the iPod, but it will do pretty much everything else, including the oft-downloaded DivX and xViD as well as anything and everything to do with Windows Media Player. The 2.5-inch screen has far better depth than the iPod, displaying images at 320 x 240 in 262,000 colours. Here, it pulls clear of the remaining competitors in this test.